TIBHAR SAMSONOV FORCE PRO. This is the newly designed blade for the multiple European Champion and World Cup winner Vladimir Samsonov. His requirements were to have impressive and varied speed reserves whilst still retaining excellent ball control. 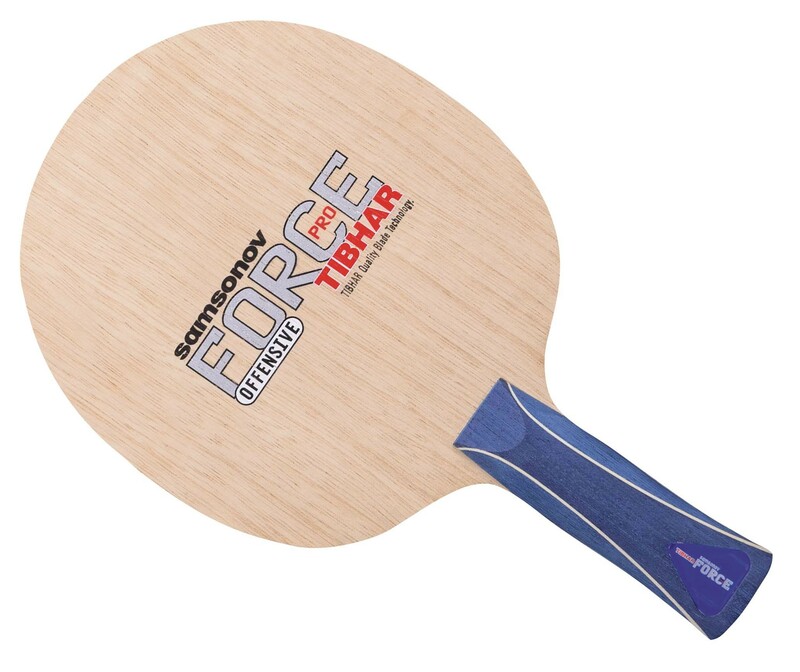 After numerous compositions of different wood types he settled on the FORCE PRO design. Its perceptible power, balanced touch allows a great deal more force to be distributed into the shot. High performance blade for offensive players. Отличное качество, очень удобная ручка. Мой экземпляр 91 г и для меня тяжеловат. Основа жесткая, быстрая (off-off+) с минимальными вибрациями. Из накладок лучше всего играет с серией Evo, с Vega pro мне не очень понравилось. Смеш, блок очень хорошо, для топспинов на мой взгляд не самый оптимальный вариант. Кто любит мягко накручивать лучше подойдёт пятислойка. А в остальном отличная основа. SAMSONOV FORCE PRO - is True OFF- blade. Shines on serves, top spins, pushes. Very good near the table and mid distance. Need to get more of your own power from far away, and there are better blocking blades. But if you are top-spinner and counter-looper - this one is perfect! 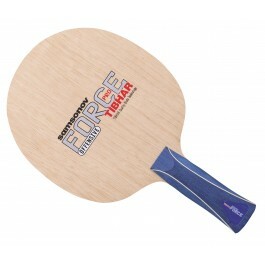 This is an excellent wood blade... Really powerful, really balanced; very versatile. I bought it for my brother at first, I use Arylate Carbon blades, but this one really caught my attention. I'm actually buying a black one to test rubbers. Excellent product! Overall, I like this blade. It has a good feeling about it. The only drawback is that, the blade is soft and the ball doesn't bounce faster. You need to push the ball. Anteriormente usaba una Adidas Fibertec Extreme, que por tener carbono es muy ligera y con buena sensación del mango. Me está costando adaptarme, ya que si bien es más contundente y ayuda a golpear con más seguridad, las sensaciones del mango son más toscas y luego de un par de horas de práctica, la muñeca resiente el peso de la madera. Excellent Performance & Good price.. The all wood racket is quite excellent in terms of feel. Speed wise is decent for 40+ balls. Pair with MX-P rubbers and immediately up your gameplay. Good speed, good control. For players that find the perfect balance between faster attack and aggressive bloks! Good price and good blade.